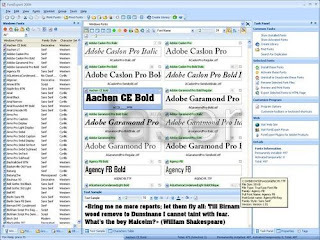 FontExpert enables you to preview and manage both installed and uninstalled typefaces, plus examine your system for font errors. You can display the list of installed font faces, customizable font samples and advanced font properties. The program allows you to print different types of reports, and offers many printing options.